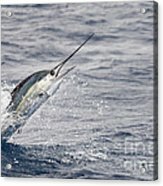 Blue Eyed Sailfish by Scott Kerrigan - 10.000" x 6.625"
Blue Eyed Sailfish framed print by Scott Kerrigan. Bring your print to life with hundreds of different frame and mat combinations. Our framed prints are assembled, packaged, and shipped by our expert framing staff and delivered "ready to hang" with pre-attached hanging wire, mounting hooks, and nails. 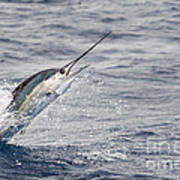 There are no comments for Blue Eyed Sailfish. Click here to post the first comment. 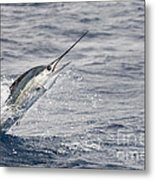 As a professional marine photographer, I maintain one of the finest stock photo collection of big game sportfishing images available today. The selection of images you will find here are some of those images, and also other random eclectic images from my travels around the world. I hope you enjoy looking around. All photographs displayed here are copyright registered and owned by Scott Kerrigan. Any modification, reproduction, transmission, publication, transfer, or exploitation of any of the content, for personal or commercial use, whether in whole or in part, without written permission from the artist is prohibited. All rights reserved.